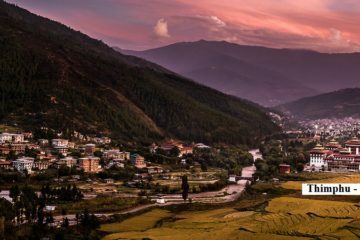 Bhutan Photography Tour gives a shocking cluster of photographic open doors rocky scenes, antiquated sanctuaries and cloisters, vivacious, beautiful celebrations, an ageless Buddhist culture and entrancing individuals. The Bhutan Photography Tour is a proposed schedule intended to take advantage of these unbelievable components. Occurring toward the beginning of October, it agrees with the Autumn celebration season giving an opportunity to catch pictures of the most stupendous of Bhutan’s celebrations, the awesome Thimphu Tsechu and the more cozy Tangbi Mani Festival in a provincial setting close to Bhutan’s profound heartland, Bumthang. This visit additionally visits remote towns, old royal residences and strongholds, cultivate houses, sanctuaries and sacrosanct destinations all through Bhutan’s western and focal valleys. DEPARTURE TIME Please arrive two hours before the flight schedule. Bhutan Tourist Tariff Royalty. All private excursions and transfers. Licensed English speaking guide. Experienced driver. Accommodation, 3 Star Hotel All meals in Bhutan. All of our Bhutan tours are private, tailor-made journeys for independent travel on dates of your choosing. 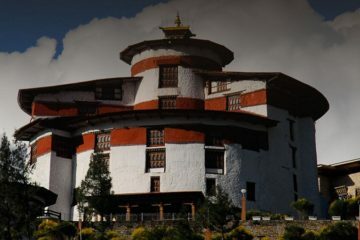 We can easily customize your Bhutan tour to spend more in the places doing the activities that you are interested in. On arrival, guests will be received at the airport by our representative who will be your tour guide and companion for the whole duration of your tour in Bhutan. Drive to your hotel in Thimphu. En-route visit Tachog Lhakhang. After refreshing yourselves and having lunch, we will be visiting Kuensel Phodrang, Mothithang Takin Reserve and later in the evening to Tashichho Dzong. Morning we will hike to Tango Cheri Monastery, 90 minutes hike and then afternoon visiting Handmade Paper Factory, Folk Heritage Museum, Memorial Chorten and Changangkha Lhakhang. En-route Dochula Pass (108 Chortens) and on arrival check into hotel. After lunch, will continue with Nalanda Buddhist College, Punakha Dzong and Bhutan`s largest suspension bridge. Morning we will be drive to Khamsum Yulley Namgyal Chorten, 45 minutes hike and while return visit Chimi Lhakhang. After lunch drive back to Paro, en-route visit Simtokha Dzong. Today, we will hike to Paro Taktshang, later visiting Druk-yul Dzong, Kyichu Lhakhang, Ta-dzong and Rimpong Dzong if time permits. After breakfast, we drive you back at the airport accordingly to your flight departure.